S/Sgt. Grady Floyd Miller, son of Mrs. Bennie Miller, Wichita Falls, attended Olney High. Entered AAC, 1942, trained at Sheppard Field, Texas, Ariz. and Iowa. Served in England. 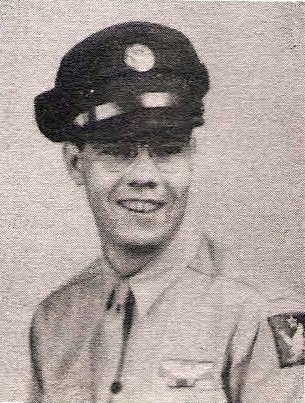 Awarded Air Medal, Purple Heart, 2 OLC. Killed in Action over Hamburg, Germany, 1944.